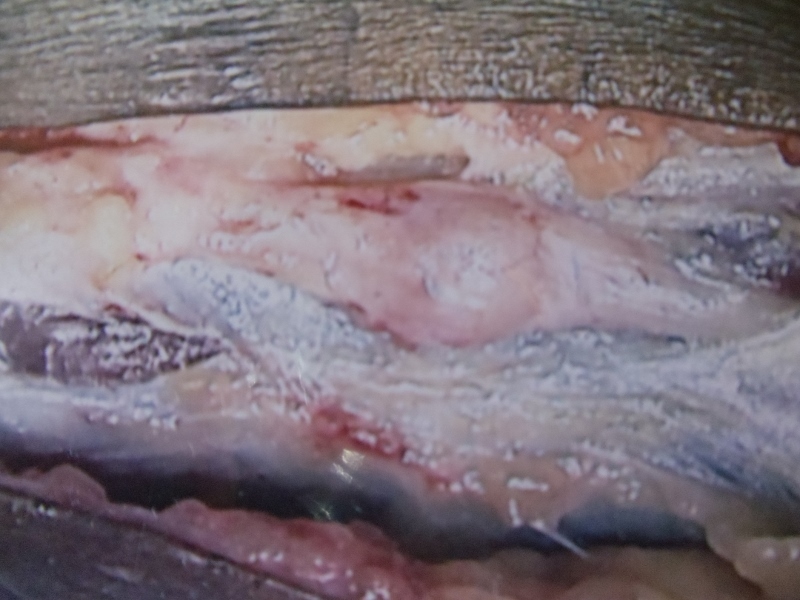 The dissection for neuroma removal begins with incision into the affected intermetatarsal space. 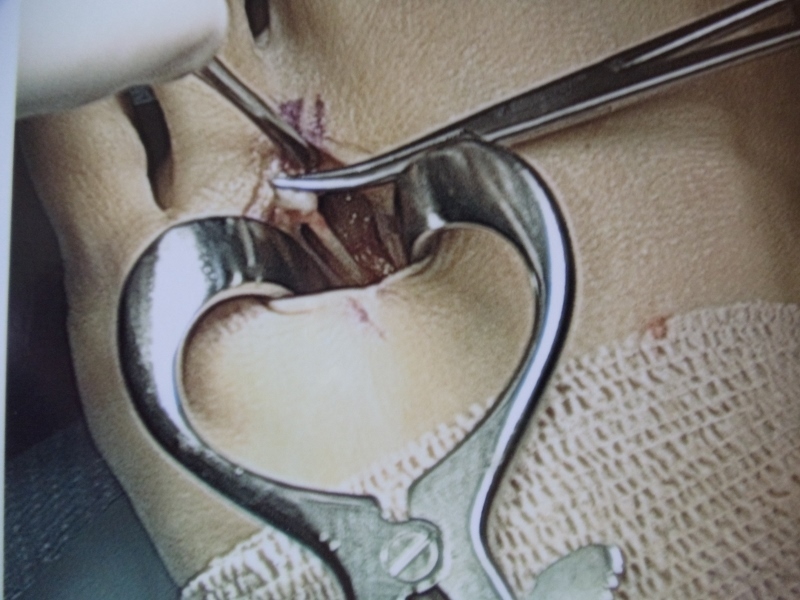 A retractor is placed in the area to improve visualization of the area which is the metal apparatus you see to the right in the picture below. The nerve lies near the bottom of the foot and soft tissue is carefully displaced, temporarily, to find the nerve. 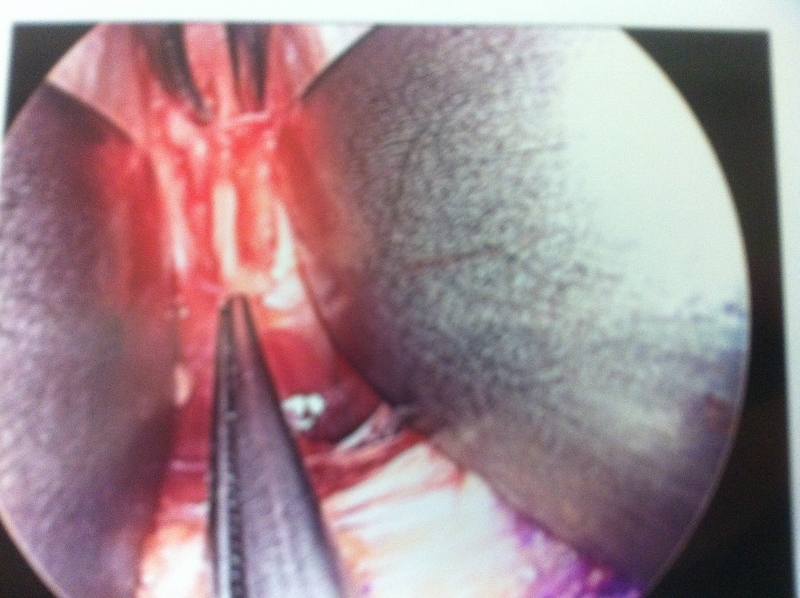 The nerve is identified as the white band across center in which the metal device is pointing to in the pictur below. The nerve bifurcates (splits into two) near the toes as the nerve gives sensation to the inside of adjacent toes in the webspace which is also why shooting sensation or numbness in the one are is felt with a neuroma. 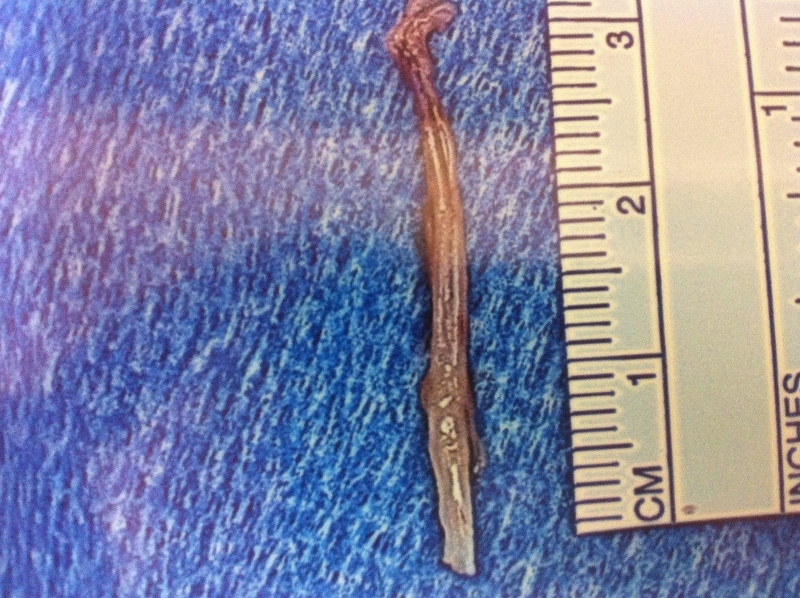 In the picture below the nerve is cut just beyond the bifurcation as this is the most common location for a neuroma. 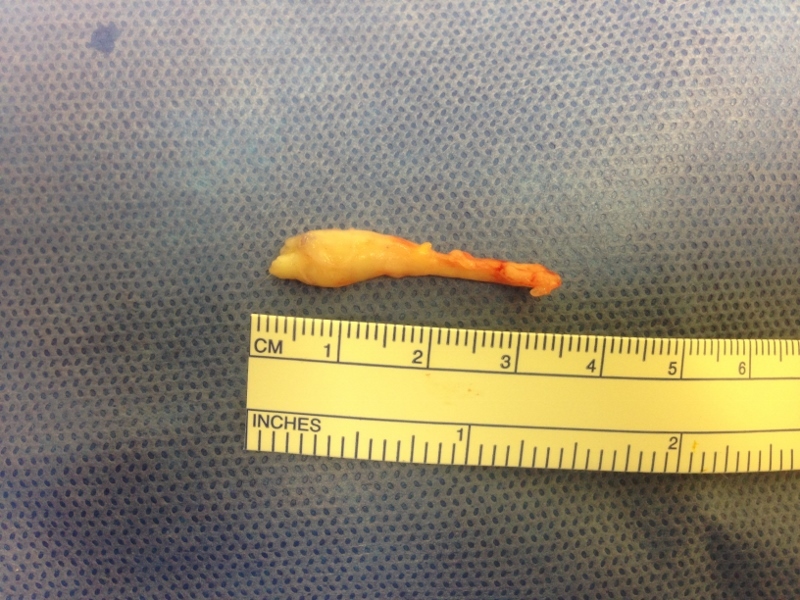 The nerve is then cut proximally as far as possible in order to completely remove the nerve from the interspace as to prevent problems from reoccuring in the area in the future. 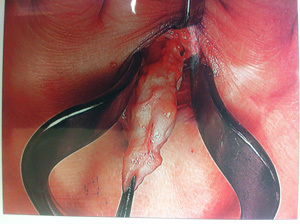 Below is pictured the nerve after complete resection. 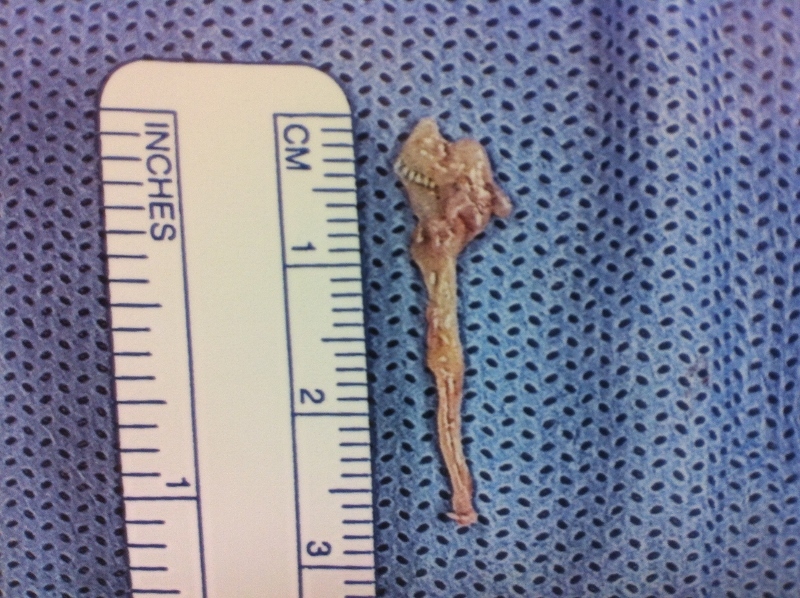 Below is an example of a very large neuroma that was found in the 2nd intermetatarsal space. 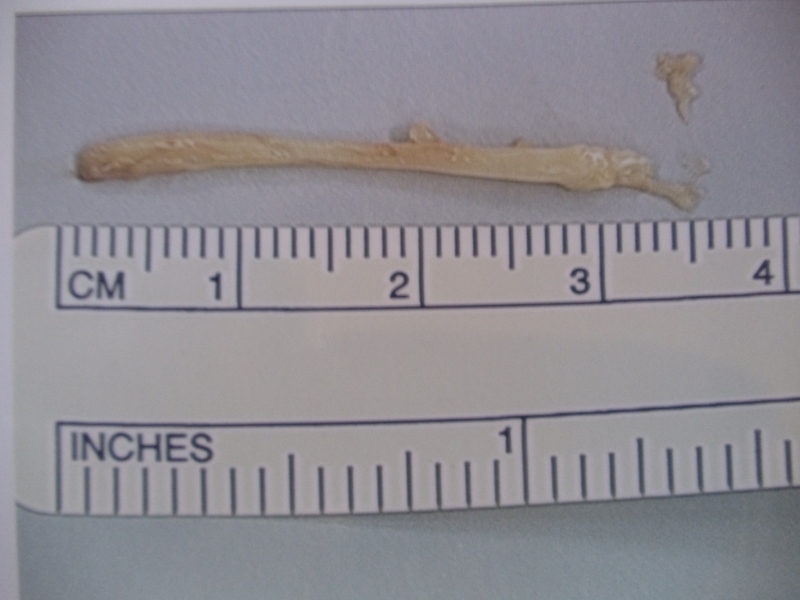 The following is an image after complete removal of the nerve with neuroma present at the bifurcation of the nerve at the level of the toes as was mentioned earlier. 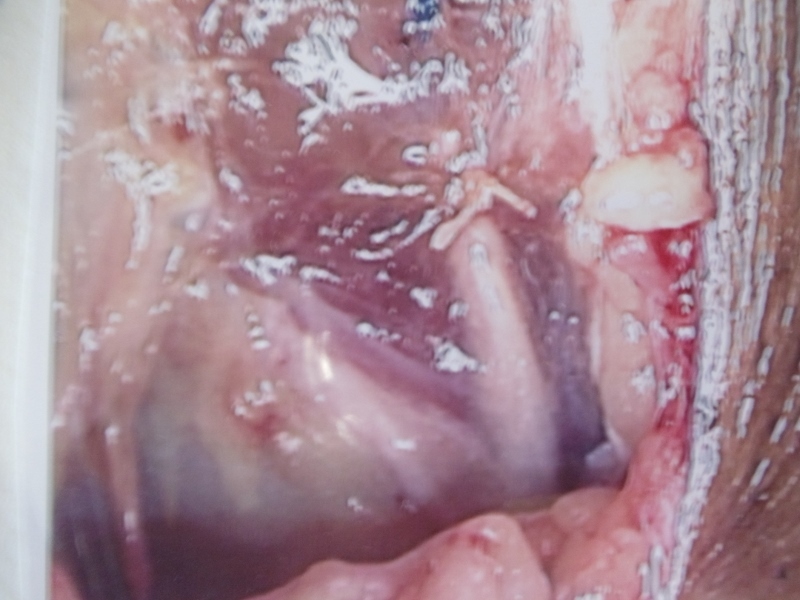 Intraop Pic of removal of neuroma. The bifurcation going to the adjacent toes is easily visualized.